1. Empowering students to be more engaged, active, vigorous learners by providing them the digital tools to go, explore, research, collaborate, publish, create, and communicate in web 2.0, online learning environments. 2. Grant Wiggins taught us the power of backward design, and we know that we can effectively transform learning by transforming assessment, by measuring what matters, and by using next-generation assessment tools for this purpose. 3. The most important way for educators to confront and accept the challenge to educate effectively in this new era is to embrace both the responsibility and the opportunity to grow and learn, ourselves, each and every day, in collaboration with each other at schools which make serious commitments to this collaboration, and via the power of social networks online. and establishing a dramatic increase in the amount of time we provide in the school-week for faculty collaboration, shared reflection upon practice, and professional development, and supporting a faculty-lead and initiated new program of Critical Friends. Learning: Engage and Empower: The model of learning described in this plan calls for engaging and empowering learning experiences for all learners. It brings state-of-the art technology into learning to enable, motivate, and inspire all students. 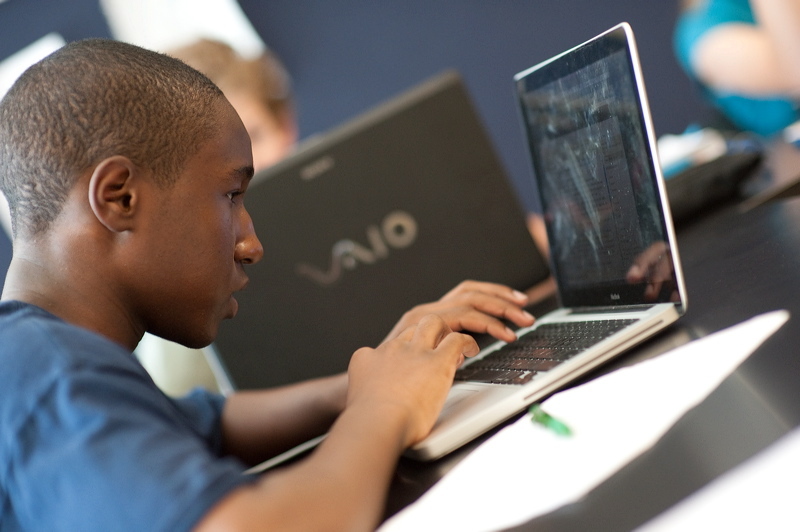 Many students’ lives today are filled with technology that gives them mobile access to information and resources 24/7, enables them to create multimedia content and share it with the world, and allows them to in online social networks where people from all over the world share ideas, collaborate, and learn new things. Assessment: Measure What Matters: The model of learning requires new and better ways to measure what matters and diagnose strengths and weaknesses in the course of learning when there is still time to improve student performance. In all these activities, technology-based assessments can provide data to drive decisions on the basis of what is best for each and every student and that, in aggregate, will lead to continuous improvement across our entire education system. Technology-based assessments that combine cognitive research and theory about how students think with multimedia, interactivity, and connectivity make it possible to directly assess these types of skills. This can be done within the context of relevant societal issues and problems that people care about in everyday life. Systems can be designed to capture students’ inputs and collect evidence of their knowledge and problem-solving abilities. Teaching: Prepare and Connect: Just as leveraging technology can help us improve learning and assessment, the model of learning calls for using technology to help build the capacity of educators by enabling a shift to a model of connected teaching. In such a teaching model, teams of connected educators replace solo practitioners, classrooms are fully connected to provide educators with 24/7 access to data and analytic tools, and educators have access to resources that help them act on the insights the data provide. In connected teaching, teaching is a team activity. Individual educators build online learning communities consisting of their students and their students’ peers; fellow educators in their schools, libraries, and after-school programs; professional experts in various disciplines around the world; members of community organizations that serve students in the hours they are not in school; and parents who desire greater participation in their children’s education. Congratulations to Karen Cator, the excellent Director of Ed Tech at US DOE, and to the team there, for this excellent blueprint for the coming educational transformation to 21st century learning for all students.